More great savings from Kmart! Tomorrow, Monday (12/12), Kmart will be hosting Save More Green Monday. 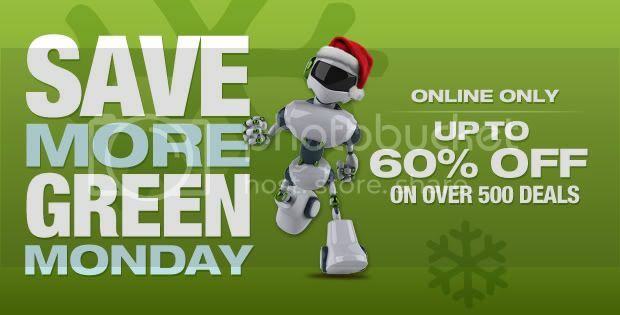 If you loved saving on “Black Friday” and “Cyber Monday” you’ll love the amount of offers & deals they’ll be rolling out. Be sure to follow @Kmart and @KmartDeals for more updates and information. Below is just a sneak peek! Enjoy the savings fun and as a thank you we are giving away (2) two Kmart $50 Gift Cards! Hurry & enter now! Limit (1) $5 Award Card per transaction. Award Card redeemable 12/18/11 thru 12/22/11 unless prohibited by law. Layaway purchases receive savings off the layaway contract instead of an Award Card. Award Card amount / savings applied and pro-rated across all qualifying items for the offer, including qualifying items purchased in addition to the minimum requirements or limits of the promotion and will be deducted from any refund. While Award card quantities last. 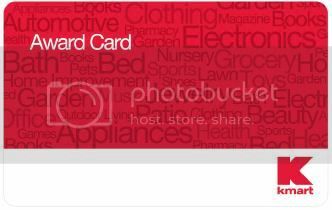 Qualifying online purchases will receive an e-gift card, via email, no later than 12/31/11. *Disclosure – This post is sponsored by Kmart but written with all my love & affection for great deals! « Holiday Shopping With Ho! Ho! Home Depot & Giveaway! Celebrate Pet Month With a BJ’s Review & #Giveaway! I like shopping at Kmart because they offer good deals and sales. I receive your emails. Thank you for the giveaway! I like the deal Kmart has now for kids’ bed tents at $11.99. I forgot to state I entered the rafflecopter with my FB username Mary Happymommy. Gotta say I don’t like the new rafflecopter form. I prefer the version they had before. Kmart is one of the stores I always shop at during the holiday season! I love Kmart’s prices and selection! I always enjoy clothes shopping at Kmart! I like they always have what i need. I always enjoyed their gardening area. I’d love some seeds and gardening soil for the holidays! I love that Kmart seems to have alot of different varieties of toys that other stores don’t have. What I like most about Kmart is they always have low prices. I love Kmart. m I especially like that they are promoting towards Latinas.